We're BACK! 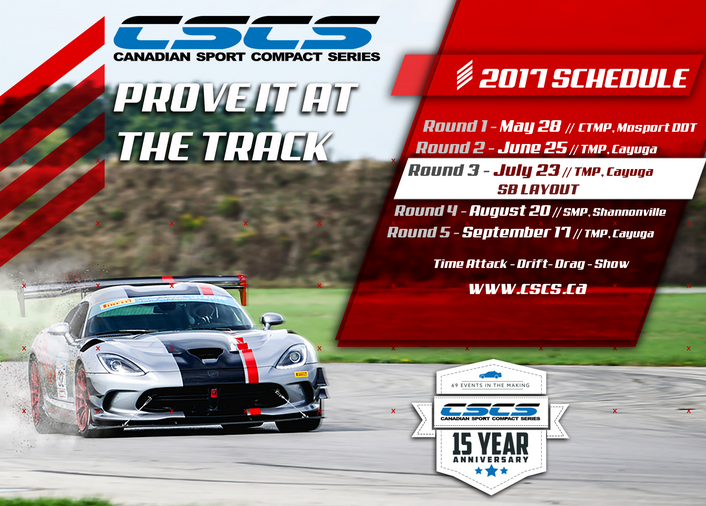 Canada's Biggest Sport Compact Series brings to you the hottest in Canadian grassroots racing for 2017! Round 1 is ready to launch the Season Opener! MAXAttack Door-to-Door Race - HOT-HOT!! I'll be there in my 2002 Black EM2 couple with the ROTIFORM NUE'S, if anyone else see's me come say hi.